The issue of the use of treble hooks or single hooks is most likely to occur when fishing with wobblers. Most of them are equipped with treble hooks, personal preferences, legislation and other fisheries regulations, sometimes force fishermen to the use of single hooks. Which are the more successful and worthwhile to use, if single hooks are not prescribed as mandatory? Treble hooks are the traditional choice of fishermen. They usually come with a lure, but they can do a lot of damage to the tissue in the mouth of the fish, as they rotate and spin. We also collect more debris and other unwanted items with them. Treble hooks are a good choice where they are allowed; We must always check the rules before buying a fishing licence. Already installed treble hooks can always be replaced with single hooks on wobblers and other similar hard baits. Not all single hooks are good for this. They are usually more suitable for jig; for woblers, we prefer those with a wider body of the hook. We also test different positions of the eye of the hook and then combine according to the water conditions and bait we use. One of the better sides of the use of single-hooks is in their lightness, so they do not have as much influence on the bait as the treble hooks. 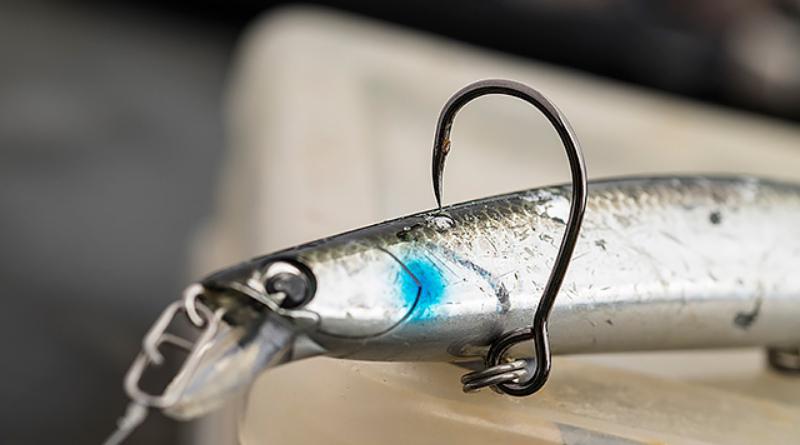 The lure has a better action with a single hook than with other hooks. The good characteristic of a single is that it is light, strong and sharp. Single hook increases the chance of survival of fish, which is extremely important in catching and releasing them.